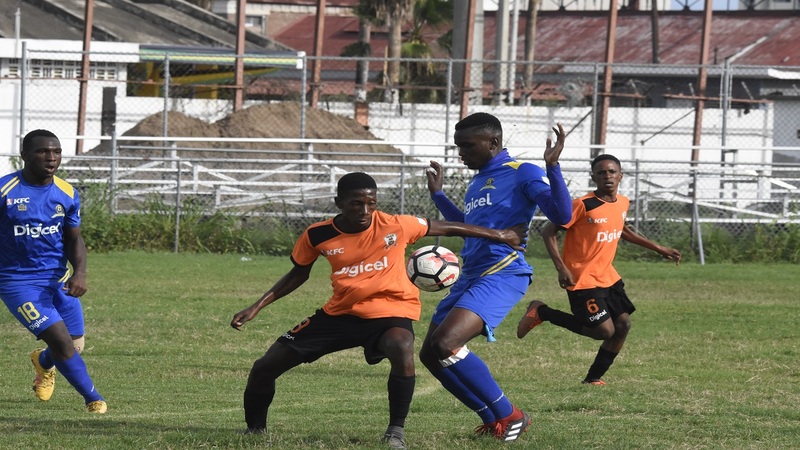 Last year’s beaten finalists, St Andrew Technical High School (STATHS) and St George's College in Manning Cup action recently. (PHOTO: Marlon Reid). 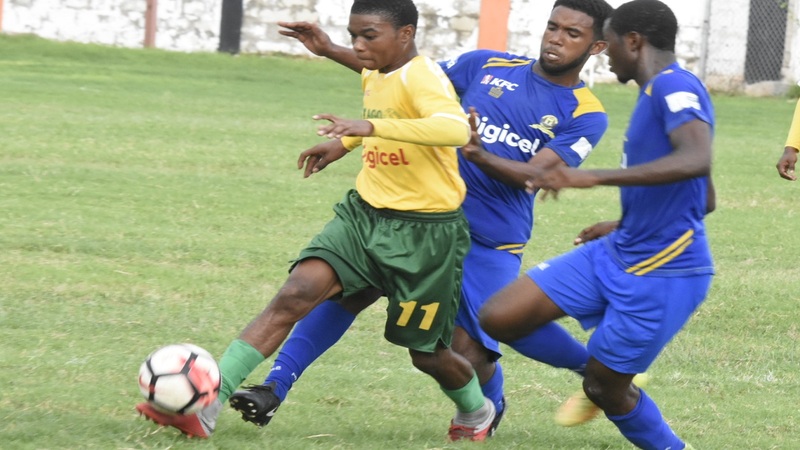 Last year’s beaten finalists, St Andrew Technical High School (STATHS), will return to action on Match Day 21 of the 2018 ISSA/Digicel Manning Cup football competition on Thursday needing victory to confirm their second round spot. STATHS, second in Group A, will visit third-place Cumberland High in a return leg game. Cumberland High also have a live shot at a place in the second round. A victory will enable STATHS to become the 14th and final automatic second round qualifier with a game to go in the preliminary round. The 13 schools, which have secured automatic qualifying spot are St George's College (Group A), Kingston College and Mona High (Group B), Camperdown High and Charlie Smith High (Group C), Denham Town High and St Jago (Group D), St Catherine High and Excelsior High (Group E), five-time defending champions Jamaica College and Hydel High (Group F), Wolmer's Boys and Holy Trinity High (Group F). 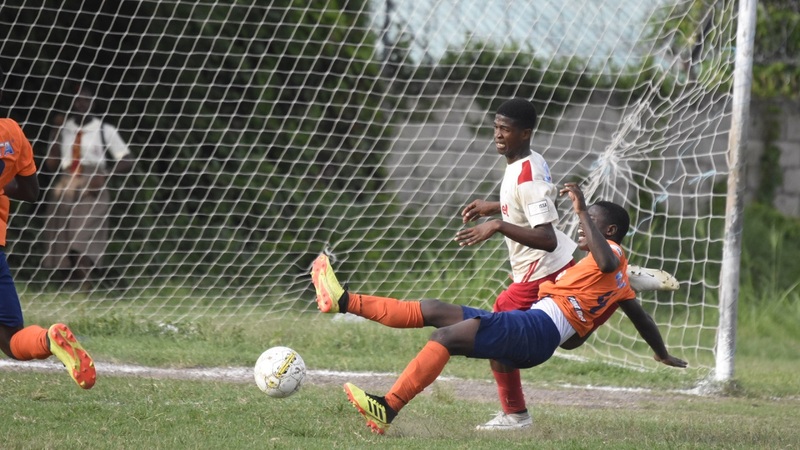 Victory for STATHS, which enter the day in 16 points, two ahead of Cumberland High, will carry them to 19 and out of the reach the Portmore-based school with a match to go. They would then join 22-time champions St George's College as the automatic qualifiers from the group. 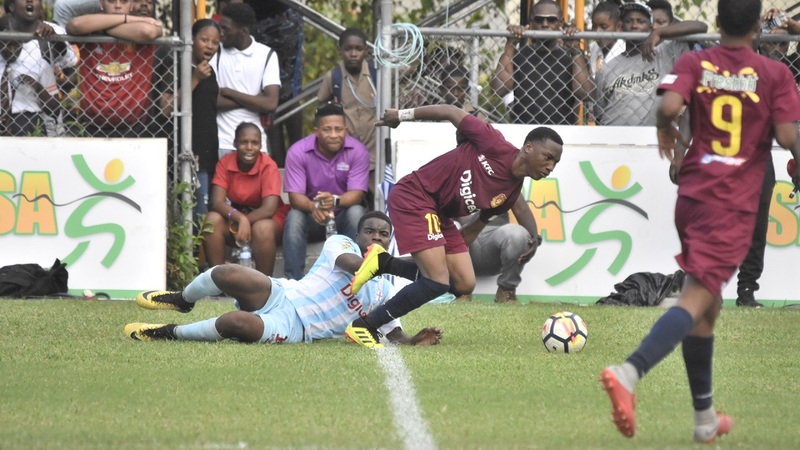 Both teams battled to a 1-1 draw in their first-leg encounter at Bumper Hall on September 21 and an interesting game is expected as Cumberland High can keep the final qualifying place open with a draw or a victory. Meanwhile, the battle for top spot in Group E will continue with the two automatic qualifiers, St Catherine High and seven-time champions Excelsior High, in action against lowly-place teams St Mary’s College and Oberlin High respectively. Both are locked on 21 points with St Catherine leading the group by goal difference. St Catherine having scored 41 goals with two against have a goal difference of 39 to Excelsior’s 22 that came from scoring 27 goals and conceding five. Both are expected to win on the day, but the margin of victory will be vital in the race to top in the group.